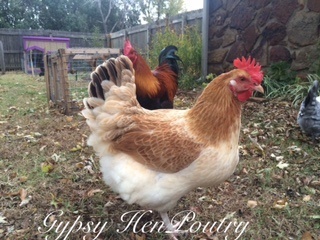 Breeding show quality french wheaten and birchen marans, we are located in NE oklahoma and SW Missouri. We have chicks and hatching eggs available seasonally. Our stock is bred according to the french standard and guidelines set forth by the APA. Visit GypsyHen.com for more pics of our stock. Or call Rachel @ 918 704-4555.